First, dismantle the disposable camera and discharge the capacitor. Using the photo below, locate the large, black battery-like cylinder and cross the two prongs with a screwdriver. This is for safety purposes, since the capacitor can hold a charge for long periods of time and electrocute you if you complete the circuit with your fingers. The circuit is quite simple, consisting of the transformer, transistor, resistor, capacitor and diode from the camera circuit. Follow these steps to create the circuit, or use the schematic below (the circuit could easily be made on a protoboard or standalone). Finally, desolder the tiny yellow capacitor from the disposable camera circuit. Then, solder it onto the transformer. Now that the circuit is finished (make sure you install a switch into the circuit! ), it should easily operate on the average AA battery, or 1.5 volts. And now you can apply it to your door! The tricky part is getting the victim to complete the circuit with their hand and release the power stored in the capacitor through their hand. 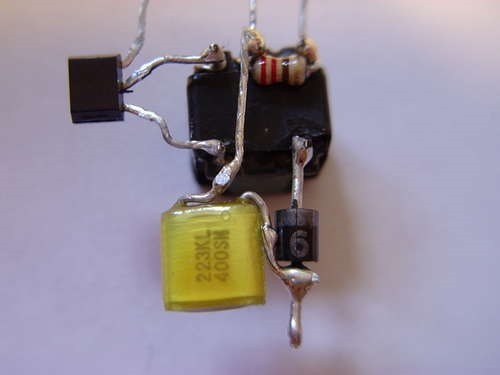 Attach two 5-inch pieces of magnet wire to the positive and negative high voltage outputs of your transformer circuit. It's easy to remove the insulation from the magnet wire with a soldering iron, because it just melts off. Note: The picture only shows one side. 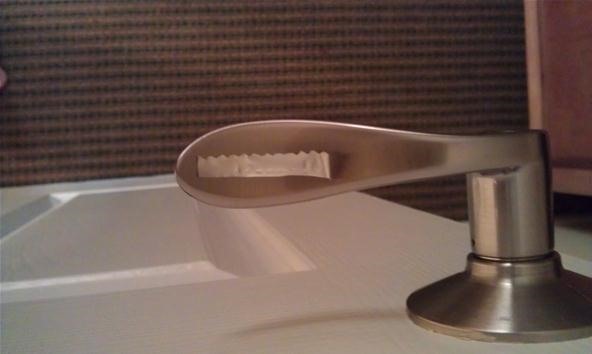 Also, if your doorknob doesn't look like mine, or is round or another shape, the concept is simply to place the aluminum strips in a place on the handle where the victim would touch both, thus completing the circuit. Take the OTHER wire and do the same procedure, only to the other aluminum strip. If you get stuck, or are confused, feel free to contact me or comment. Now, mount the voltage circuit on the other side of the door with some tape or similar adhesive. The entire circuit, including the battery, should be very tiny and almost invisible. The wires from the aluminum strips should easily wrap around the door itself, since they are very thin and there is usually some leniency in distance between the door and the door frame. 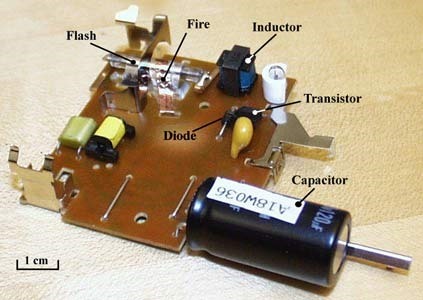 The circuits used in this article are also used in the High-Lighter Stun Gun and Coil Gun. Check them out if you're interested in other high-voltage projects! HIGH VOLTAGE!!!! NEVER work with large amounts of electricity unless you are experienced with safety and the dangers of electricity! Pranking people can result in anger and/or lawsuits! Don't get yourself thrown in jail—use common sense. Nice! Finally... a way I can keep my neighbor's dog from jumping all over my front door! (just kidding) But seriously, I'd like to try this out. Pretty simple. Where can you get aluminum tape? Hardware stores? yup! its pretty expensive, but so useful!! Hy what tipe of transistor you used? Very Nice Kit! Which type of diode to use? Couldn't the same thing be done by simply splicing an old power cable & attaching one polarity (+or-)-(does which one matter?) To a metal door knob & plugging it into a wall? 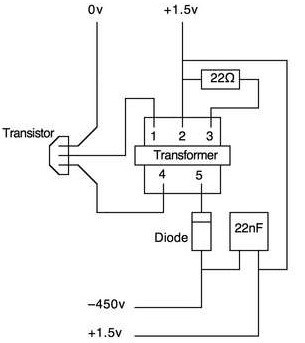 Because, obviously 2 would complete an electrical circuit. Planning on doing this to thwart potential criminals from breaking in my place, plus outside my apartment it's carpeted so no risk of death. Right?